This is a guest post by Scott Miller, Principal at The Complex Sale, Inc., a sales consultancy focused on creating demand, winning opportunities, and growing accounts. 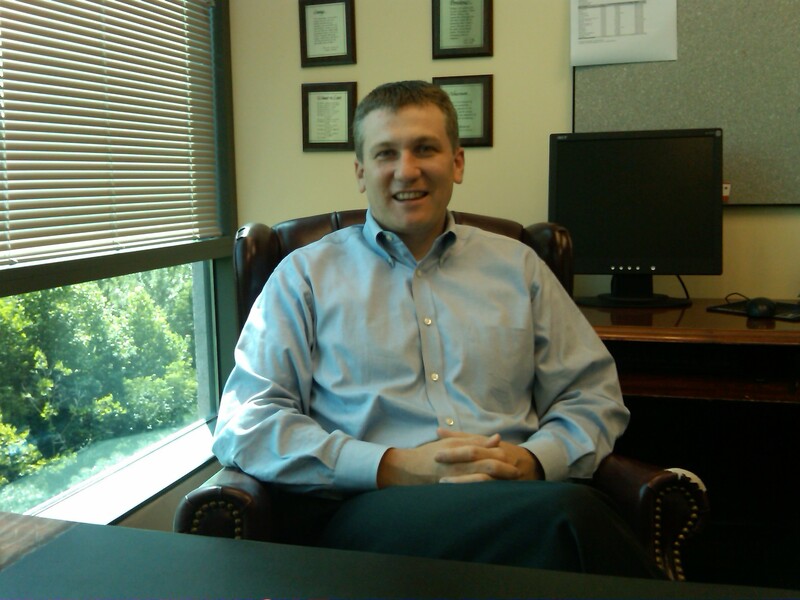 Check out his blog on creating, winning, and growing sales. Principals at my firm, The Complex Sale, Inc., carry a bag so we are responsible for bringing in our own new customers. Our firm provides tools and resources to help our clients accelerate revenue and meet their targets. You would think with such a simple and strategic value proposition that it would be easy for me to get first calls with my prospects. However, the buyers of my solution are like yours; too busy to take random solicitations and, quite frankly, there are a lot of people out there that can say they do the same thing. So in an effort to get above the noise of traditional cold calling, I tried the targeted techniques. I would thoroughly research my prospects and articulate a tailored solution based upon their unique pains. I would write it all up in a letter and copy all the key executives, as Michael Boylan describes in his book The Power to Get In. I would put a lot of thought and research into that letter, thinking I only had one shot at getting the decision-makers’ attention. To follow up, I would dial the CEO first, knowing that I would be referred down to the VP of Sales to get sponsorship. Unfortunately, this process was very frustrating because I would get the same results as blindly picking up the phone and dialing a stranger. Then I tried complementing my letter with a copy of our CEO and Founder’s book, Hope Is Not A Strategy – The 6 Keys to Winning the Complex Sale. The book highlights our sales methodology, so I was thinking this would be a good commercial for my stuff. To my excitement, I found the dials I made after sending the book resonated 10 times better than before I sent the book. My first thought was that the book worked, they are reading it and my message is getting through. However, when I asked the prospect if they liked the book I sent, without exception they told me they hadn’t read it. The reason they took my call was because they recognized my name from the FedEx package I sent the book in. Many times, it would still be in their desk when I called. It was the one median the gatekeeper isn’t going to block and it’s the one thing I could reference in an email or voicemail that got above the noise of traditional solicitation. I told Rick Page, our Founder and CEO, about this new little phenomenon, and he called it the duck method. When he was a sales manager at MSA, Rick had one rep who was a big duck hunter. He would mail his prospects a plastic duck to entice them to go hunting as a way to get in the door. He told me his rep usually never got to the point of inviting his prospect on the hunting trip because when he called to make the invitation, he was already well known by the prospect. The connection had already been made. My advice is this: when prospecting, use every tool available. Use VITO letters, cold calls, Twitter, lunch invites, LinkedIn, webinars, and marketing slicks. But keep in mind that you are doing what everyone else is doing. To get above the noise, send your prospects something they will remember. Send them a duck. Professional networking encompasses two distinct areas that, when put together, gives us the definition of a professional network. Now think about this in terms of professional networking. Often times, everyone’s purpose of networking differs. But from a professional standpoint, it shouldn’t. A professional networker should approach networking with the following mindset: “It’s not who you know, it’s who knows you”. This mindset can be a bit confusing. Some people will take that statement to mean: “I need to show up and throw up about who I am and what my business does”. That’s the complete opposite way to go about it. Back in 1936, Dale Carnegie wrote (in the book How to Win Friends and Influence People) six ways to make people like you. The first point he made is this: become genuinely interested in other people. Dale Carnegie goes on to say that “for people to get to know who you are, you first need to get to know who they are”. So Dale and I agree. “It’s not who you know, it’s who knows you”. But how many people need to know you? British anthropologist Robin Dunbar found a theoretical cognitive limit to the number of people with whom one can maintain stable social relationships. These are relationships in which an individual knows who each person is and how each person relates to every other person. (Dunbar, R.I.M. (1993), Coevolution of neocortical size, group size and language in humans, Behavioral and Brain Sciences 16 (4): 681-735.). Dunbar predicted a “mean group size” of 148. We’ll round this number off to 150. This means professional networking should produce a network that has a size of approximately 150 people. Again, our mindset is “It’s not who you know, it’s who knows you”. So, I like to add the Pareto’s Principle (the 80-20 Rule) to the Dunbar number. Mathematically, these are how these two principles work out: (150 x .20) x 30 = 900. Let’s break that formula down. Using your Dunbar number of 150 people, we multiply it by 20% which gives us 30 people. These 30 people are part of your primary network. Every one of these 30 people also has a Dunbar number of 150 and, applying the same calculation, each of the 30 people in your primary network have 30 primary connections. Therefore, it’s a simple mathematic equation of 30 multiplied by 30, equally 900. In the end, we have this definition of professional networking: Professional networking is developing 150 relationships/connections with the intent of these individuals getting to know you. The popularity of social networking websites such as LinkedIn, Facebook, and Twitter have clouded what we’ve known as networking, introducing a much more laid-back aspect. While I thoroughly believe social websites play a key role in networking, these particular websites have diluted the line between professional versus social. We need to maintain our professionalism while using these sites to further our network base. Professional networks are built on developing relationships over time, not instantly. If you want a strong and lasting relationship, introducing the human element is critical. Developing a relationship isn’t about how many hours you spend feeding business cards through CardScan; rather, it’s about understanding the needs and getting to know your prospect. Developing a relationship is what’s going to help you build a solid network. At the end of the day, people don’t refer companies or brands. They refer YOU. The more your customers/prospects know your personality, your interests, your values, and your real voice (human element), the more likely they will refer business to you. A key strategy to constantly refer to is don’t skip the chance to connect. The goal is to connect with as many people as possible. 1. Break your prospects into two categories. The first group is a peer network. These are the folks you already know and have an established relationship with. The second group is an aspirational network. These are the folks you want to meet and start developing a relationship. 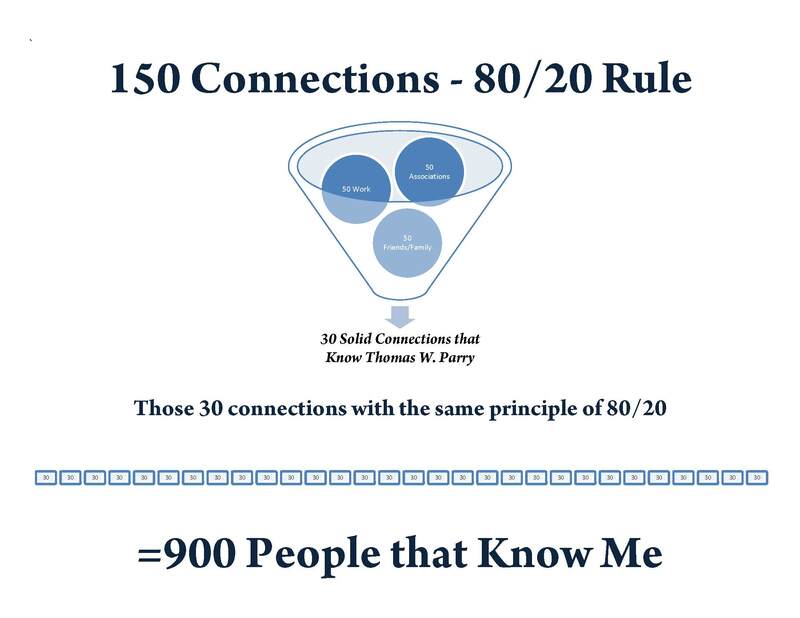 The key is to understand why you want to connect with your aspirational network, and then find folks in your peer network that might make the connection a warm one. This is where using social networks like LinkedIn, SwampFox, Facebook etc. play a vital and integral role in professional networking. 2. Before the warm connection takes place, you need to relationship mine. This type of knowledge mining can be done behind the computer or over the phone and needs to be done before you make the warm connection. Mine all aspects of the individual from both the professional and personal angles. 3. Extend your hand and begin getting to know the person. I prefer meeting at a local coffee shop. This is one of the most overlooked aspects of professional networking. From time to time, reach out to your new friend. Ask what you might be able to do for them and let them know what you’re currently doing. This is why LinkedIn and Facebook have the feature “what are you doing now?”.